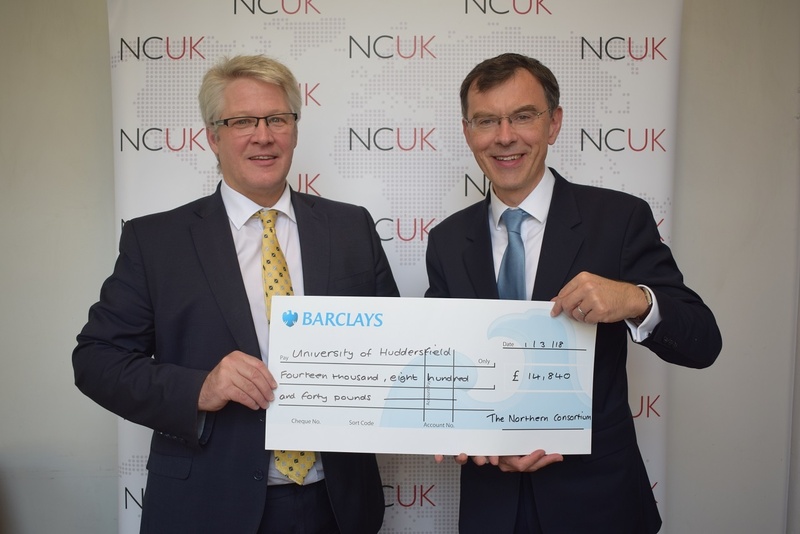 The Northern Consortium (NCUK’s charity) has donated £14,840 to the University of Huddersfield Business School to a project which provides a fantastic opportunity for a group of UK students to attend a two week summer camp in July 2019 at the Sino-British College (SBC), the NCUK joint venture with the University of Shanghai for Science and Technology. The students, currently studying BA (Hons) Events Management at the University of Huddersfield, will have the opportunity to be introduced to the Chinese (Mandarin) language and to experience Chinese culture, as well as taking part in a number of educational visits during the summer school programme. 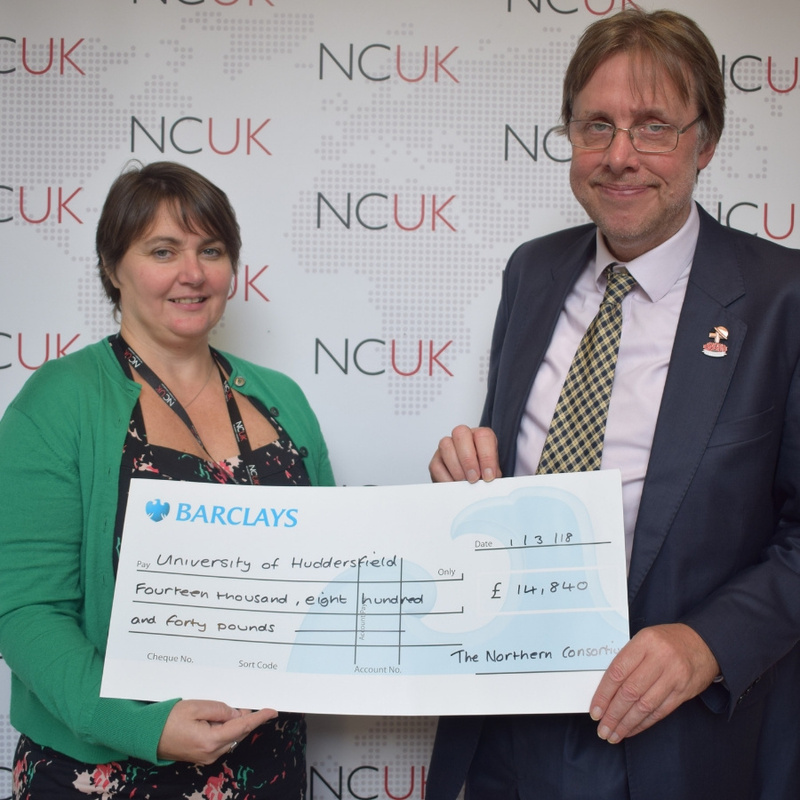 The project entitled “Promoting Intercultural Awareness Amongst UK Students” was initiated by Professor John Anchor (pictured alongside Georgina Jones, Market Development Director of NCUK), Associate Dean (International) in the Huddersfield Business School, University of Huddersfield. The Huddersfield Business School has a long term and close relationship with the Sino-British College as a result of the successful delivery of our BA (Hons) Events Management programme in Shanghai. We now want to provide UK students with the opportunity to improve their intercultural awareness by spending two weeks in Shanghai in July 2019. The programme will include an introduction to Chinese culture and language, doing business in China and some local sightseeing. This is a fantastic opportunity for UK students to learn more about China and I am very grateful to NCUK and the Northern Consortium for making it possible. I anticipate that we will learn a lot from this initiative which will enable Huddersfield Business School to fund future visits. It’s hoped that providing UK students with this experience will enable greater understanding of China and Chinese culture which will help UK students to reciprocate and improve integration of international and home students at the University of Huddersfield. The University of Huddersfield is among one of three NCUK Universities that delivers a full UK degree in Shanghai at SBC to international students where students are taught by SBC staff as well as ‘flying faculty’ from the University of Huddersfield. Click here for more information about the University of Huddersfield.